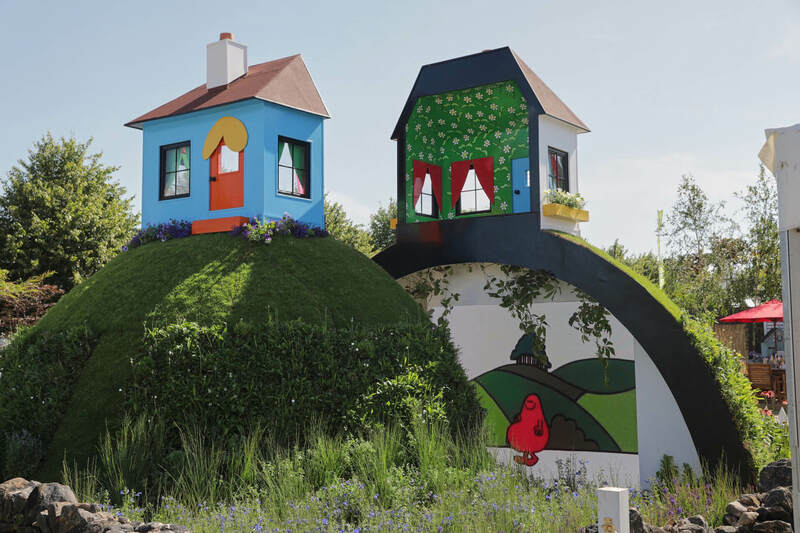 Children with Cancer UK is delighted to announce an exciting new collaboration with Mr. Men Little Miss, hosting a show-stopping garden at Britain’s largest flower show, RHS Hampton Court Palace Flower Show. The garden, ‘The Children with Cancer UK Mr. Happy Mr. Worry Hill’, designed by Reed Studio’s Emma Reed, celebrates 30 years of the charity’s work in funding vital specialist research to save the lives of children and keep families together. The garden’s striking design represents the journey many families and children go through emotionally from diagnosis to treatment. This includes the resilience of families and children affected by cancer as well as the fears, worry and pain they experience. Every day, more than 10 families in the UK get the devastating news that their child has cancer. Over 4,000 children and young people are diagnosed with cancer every year in the UK. The aim of the garden is to raise awareness of the crucial role scientific research plays in developing kinder, less toxic treatments for children to save and improve young lives. Set within Misterland, the home of the Mr. Men characters, the key theme is a split hill with iconic features from Mr. Men illustrations. One side represents ‘happy’ and the other, ‘worry’. Bright shades of yellow and orange symbolise the feelings and emotions of happiness, while the shades of blue and purple symbolise the feelings of worry. On one side a waterfall represents tears, and on the other side a light wall represents hope. Thirty different species of plants feature in the garden and flowering turf. Sandstone is the key material, depicting the dry-stone walls used in the Mr. Men books as well as the vernacular of the West Yorkshire landscape where Mr. Men author Roger Hargreaves was born.